Technology from Bristol-based Fusion Processing is at the heart of the UK’s first commercial driverless bus service. Fusion’s CAVstar technology is being used to drive busses in Manchester around the depot without drivers. 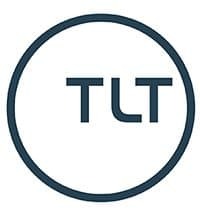 This combines radar, ultrasound and optical cameras with satellite navigation to detect and avoid obstacles. This provides Level 4 autonomous operation which will be sufficient for use on roads (the top is Level 5 which can drive anywhere). 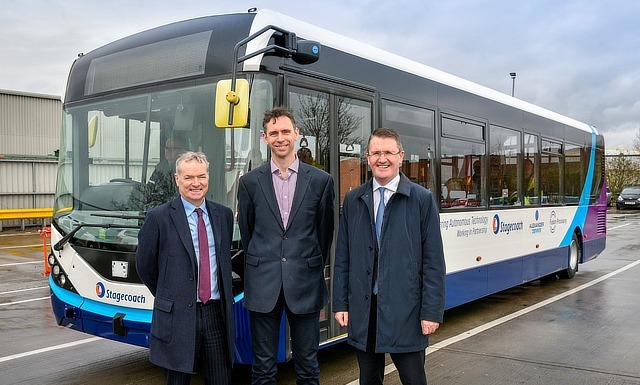 “This is an exciting project to trial autonomous technology on a full-sized bus for the first time in the UK,” said Martin Griffiths, chief executive of bus operator Stagecoach (above, right) which worked with bus maker Alexander Dennis. The three companies are also working on a service with five autonomous busses that will run across the Forth Bridge from Fife to Edinburgh later this year. The technology has now been used on a range of vehicles from two seater driverless cars to the 12m long busses with 43 passengers says Jim Hutchinson, CEO of Fusion Processing (above, centre).